The Town of Rockport has decided to dredge the Mill Pond in Millbrook Meadow in order to remove sediment and invasive species of plants in and around the pond. Years of sludge (estimate 4,000 pounds), overgrown flora, caved granite walls, and the rerouted brook have damaged the area. 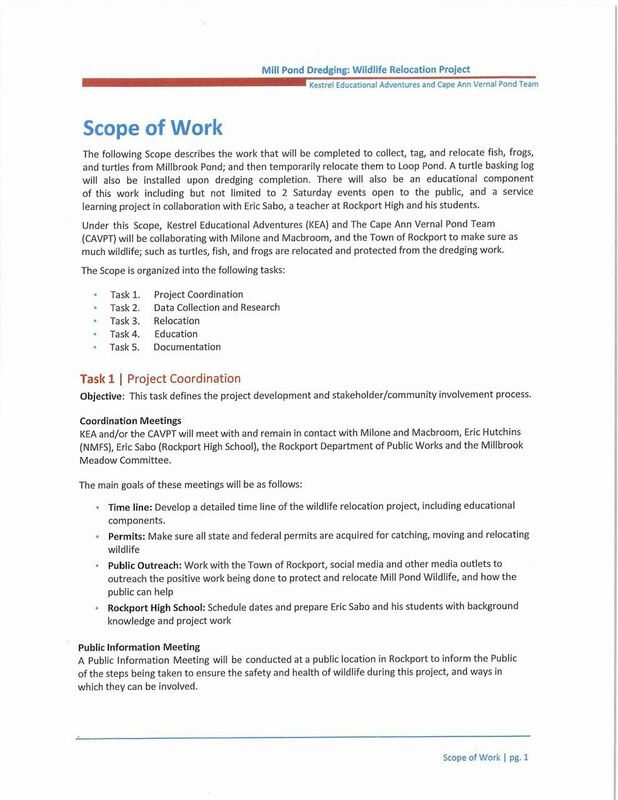 Plans are now underway to enact the restoration. There are turtles and fish in Mill Pond that need a new home. 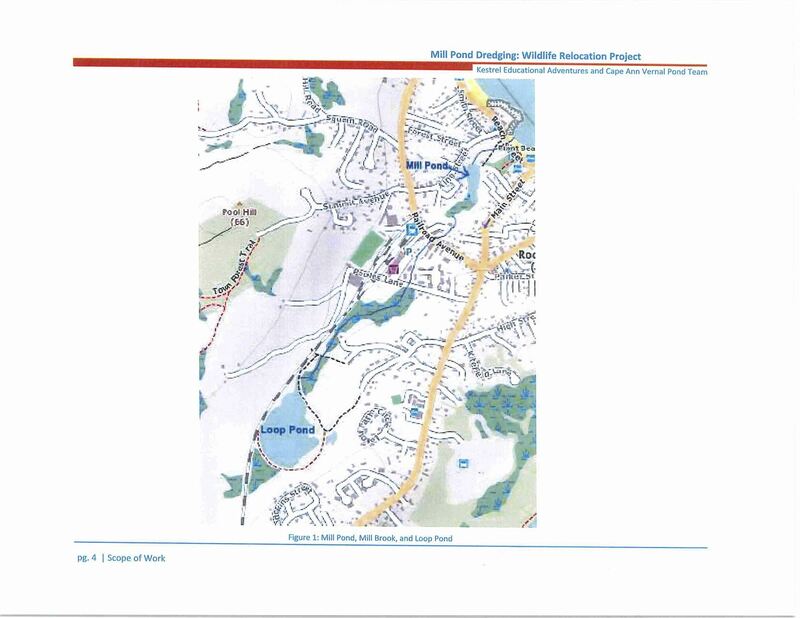 The Cape Ann Vernal Pond Team, Kestrel Education Adventures and NOAA's Relocation Specialist Eric Hutchins will be involved in moving turtles and fish to the Loop Pond, which is about a half mile upstream from Mill Pond. 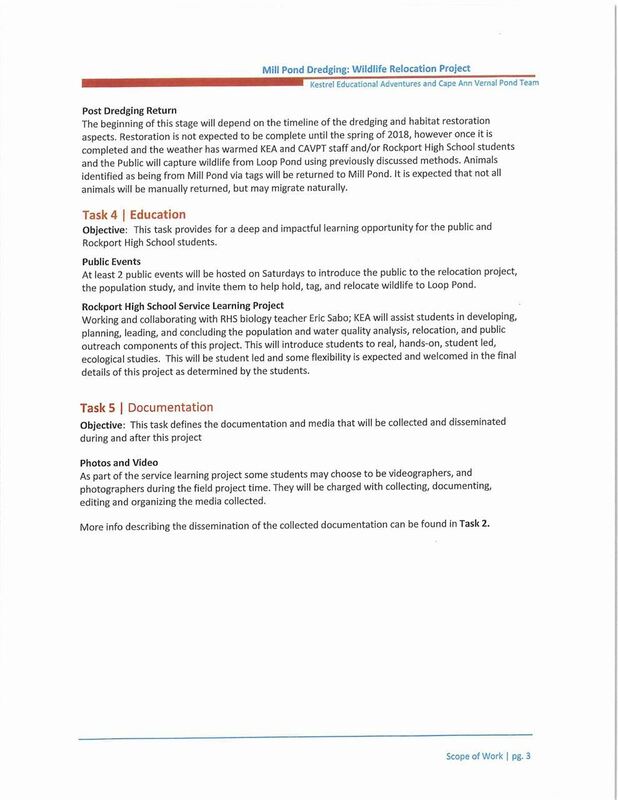 We also hope to make an educational opportunity out of this and the public is invited to these activities. 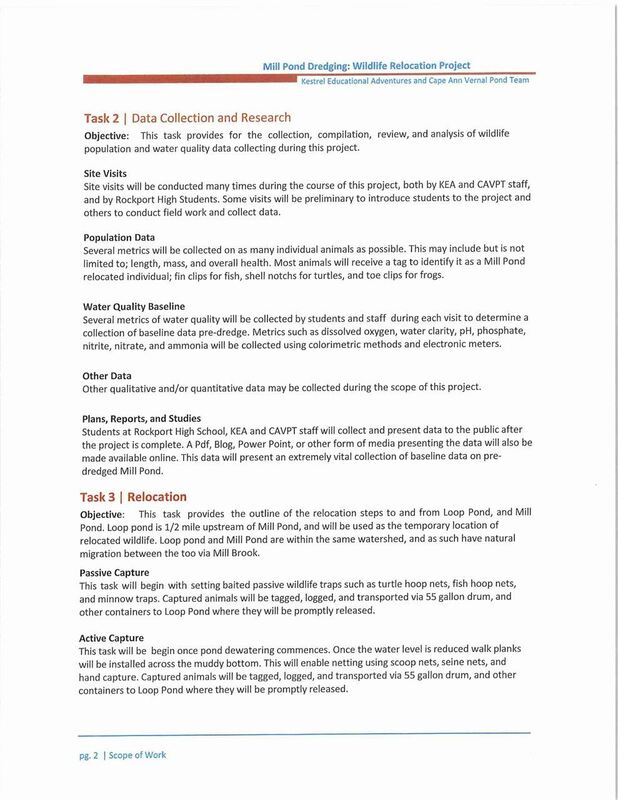 Below is the Scoping Document describing our involvement with the Wildlife Relocation Project portion of Mill Pond Dredging.